My Morning Jacket and Jim James are back with the title song off their highly-anticipated seventh studio record The Waterfall, hitting the stores on May 4th via ATO/Capitol Records. The new song called “Believe (Nobody Knows)” was premiered on NPR’s podcast hosted by Bob Boilen and Robin Hilton, who describe the band’s front man Jim James “seeking meaning and truth in an uncertain world” in the new audio. “Believe (Nobody Knows)” is a dreamy hymn of the working class, the hope for the bright future and all of us as a part of it. 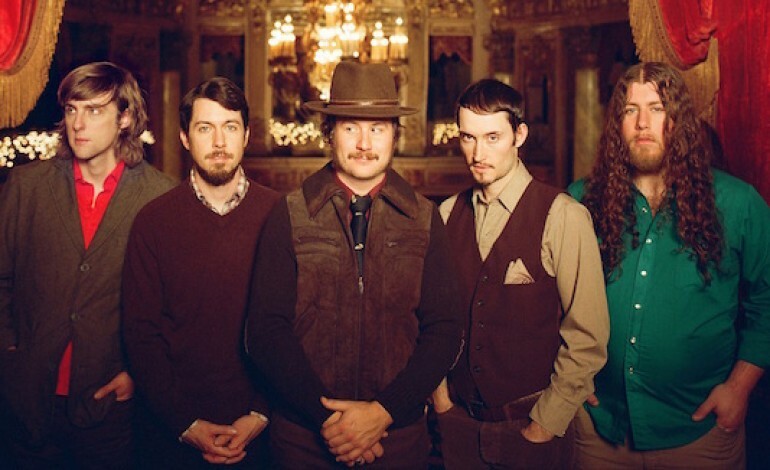 My Morning Jacket, who have previously released the new song teasers and trailer for the new album, and were announced as the headliners for Gentlemen of the Road Stopovers, Forecastle Festival and others, keep teasing us with the new compositions from their upcoming release. Especially taking into account the fact that the band is working on two new albums, to be released in 2015 and 2016. Give a shot to My Morning Jacket’s new single on NPR; the song begins around the 1:40 mark.